If you want to fall in love, go to Liguria. A land close between sea and mountains, poetic and fragrant, that will leave you breathless. 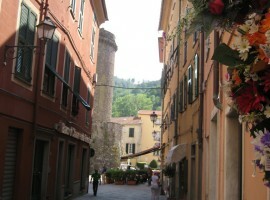 Let’s go to the discovery of Liguria, a spectacular, difficult to describe, multifaceted region. This time, however, we do not stop at its sea, though beautiful. We explore the hinterland, among hills and mountains, and its charming villages. Let’s do it through these 5 stages, between carruggi (alleys) and hike trails in the eastern Liguria, and a journey through its flavors. But first, what will be our starting point? 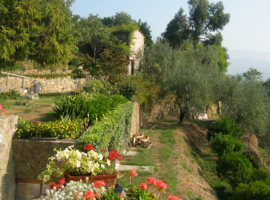 B&B Alla Casalta is located in Arcola, surrounded by olive trees overlooking the Apuan Alps. The farmhouse has been completely restored respecting the local tradition and nature. In the summer, breakfast is served under a fragrant pergola, in the beautiful garden. Here you can feel right at home, between the scent of a freshly baked cake and Letizia’s welcome. 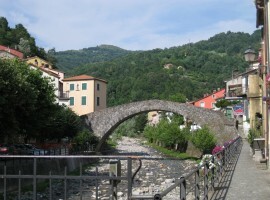 We start our alternative trip in Liguria from the village of Brugnato, on the banks of the Vara river, surrounded by greenery. 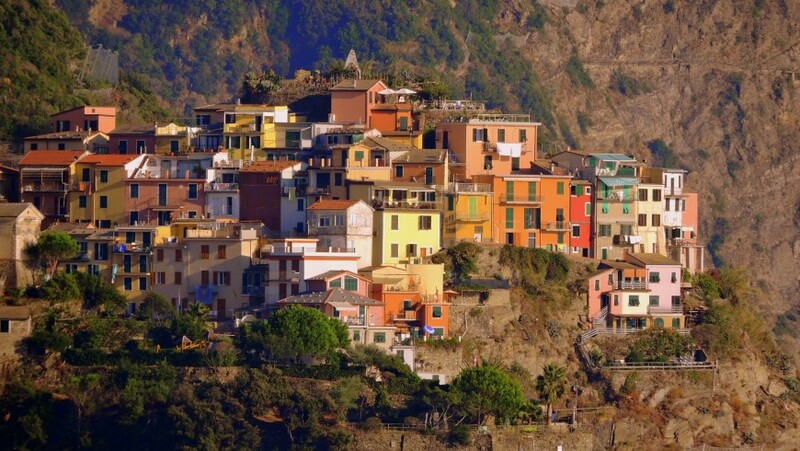 We walk amongst its carruggi and typical colored houses, immersing us in an atmosphere of ancient traditions. We cannot help but stop talking to local people, so hospitable and genuine, and to taste the typical canestrelli, unforgettable candy-shaped desserts. 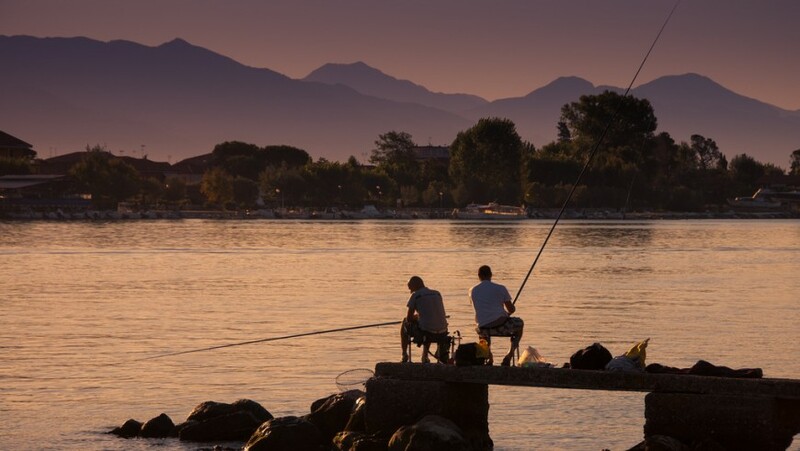 Moving from the Gulf of La Spezia to the hinterland, we find ourselves in the beautiful Montemarcello Natural Park, where Vara and Magra rivers flow. Among the different trails, I recommend a walk to all that follows the sinuous course of the River Magra from Bradiola to Battifollo, just a few steps from Sarzana. So we discover the variety of the river environment, among the hawks and herons. Among the many dishes and flavors typical of the area, you can not miss Testaroli, a very old type of pasta. The village of Varese Ligure and the whole Val di Vara offer a virtually unique, sustainable tourism offer: here everything is organic and the village is the first municipality in Europe to guarantee to residents and tourists zero atmospheric, acoustic and electromagnetic pollution, effective control of waste and water treatment cycle: in short, a 100% sustainable town. 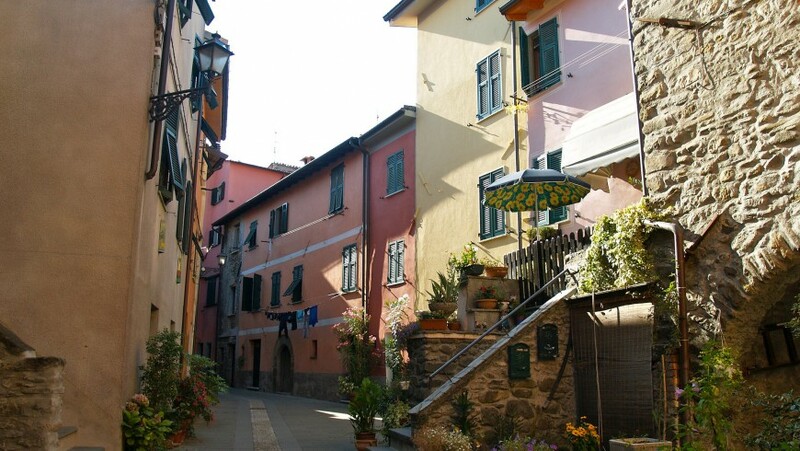 In our journey through this area of ​​Liguria, we do not forget about its history. In the town of Ortonovo we find Luni, one of the most beautiful and rich colonies of the Roman age of Northern Italy. 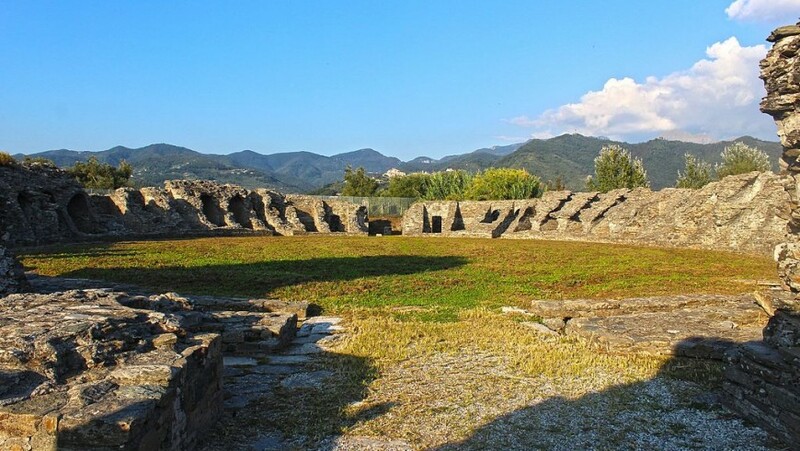 Here we can explore the archaeological area that also includes an amphitheater. We can not leave the village before having won the Colli di Luni wine. 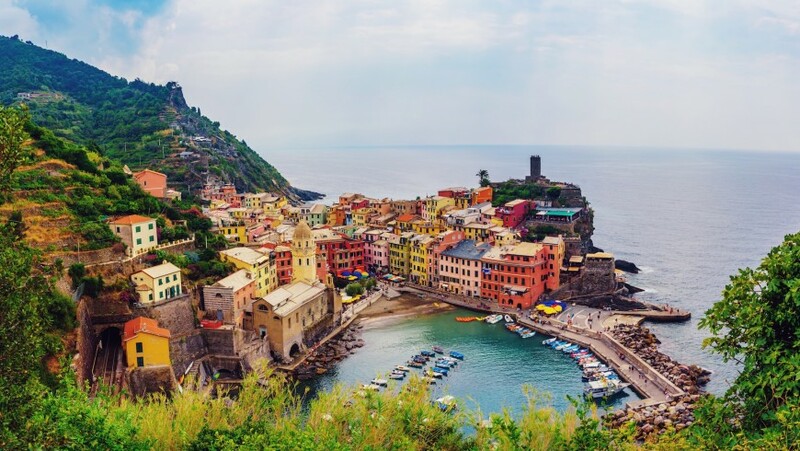 Up to here I talked to you about a lesser-known Liguria, but we can not leave this region without seeing the Cinque Terre! We discover them walking through this beautiful itinerary, between the sea, the vineyards and the woods. Each village has its own unique charm and you will love each of them. For those who love to know a place through the cuisine, I recommend the famous anchovies of Manarola. 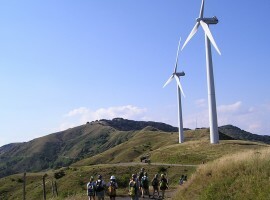 This entry was posted in journeys and tagged ecology, ecotourism, Italy, Liguria, natural parks, nature, organic food, reduce the carbon footprint, respect for the environment, responsible tourism, responsible travel, sea, sustainable tourism, walking. Bookmark the permalink.